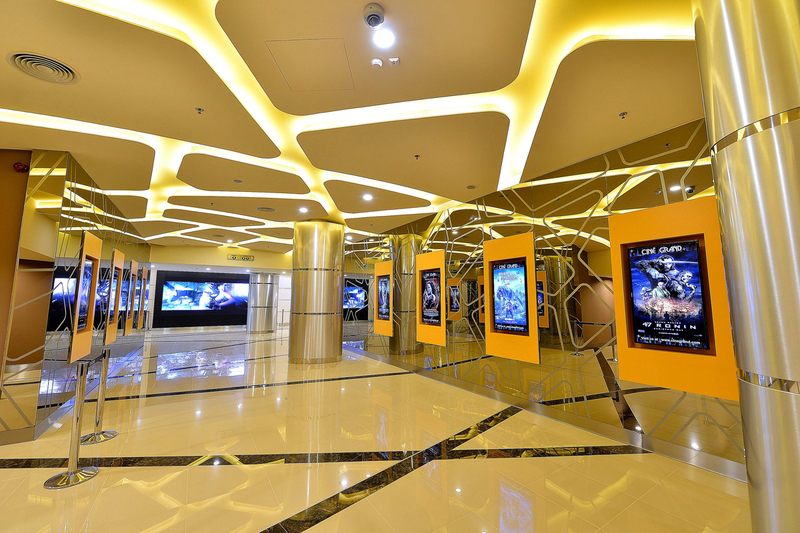 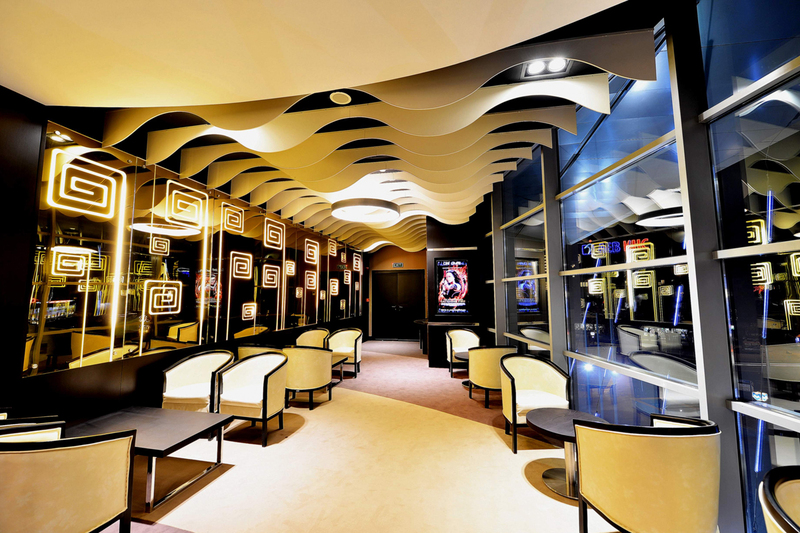 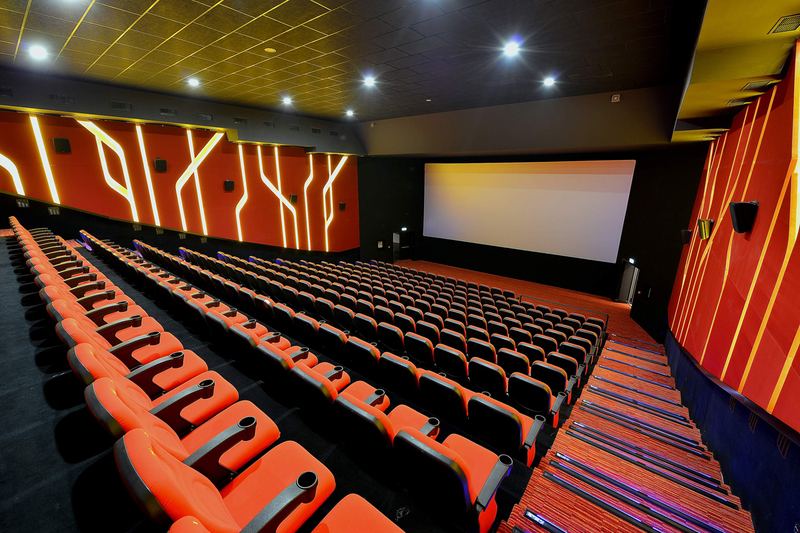 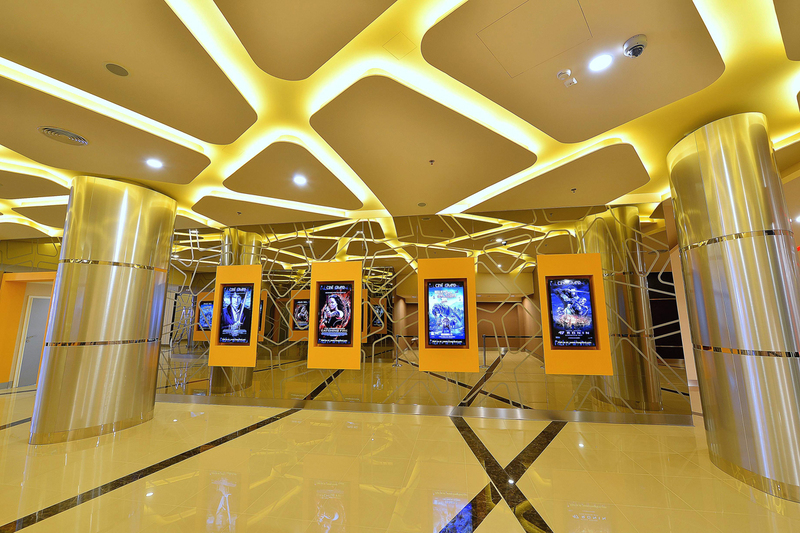 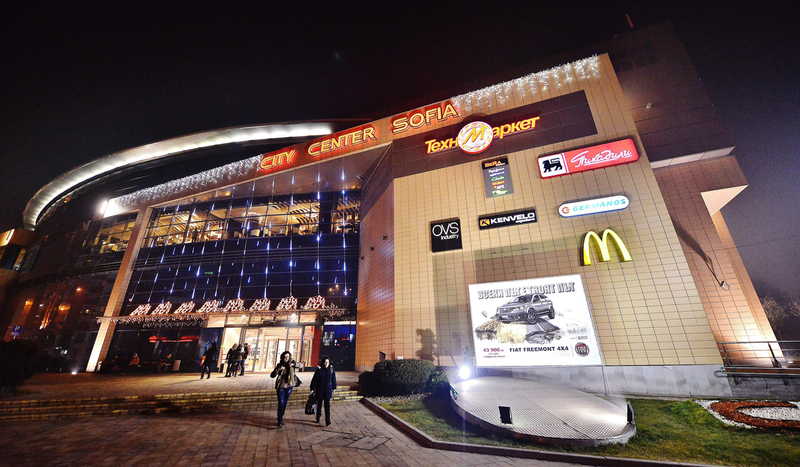 The first 6-screen ultra-luxurious multiplex in Europe situated in CCS mall Sofia, Bulgaria. 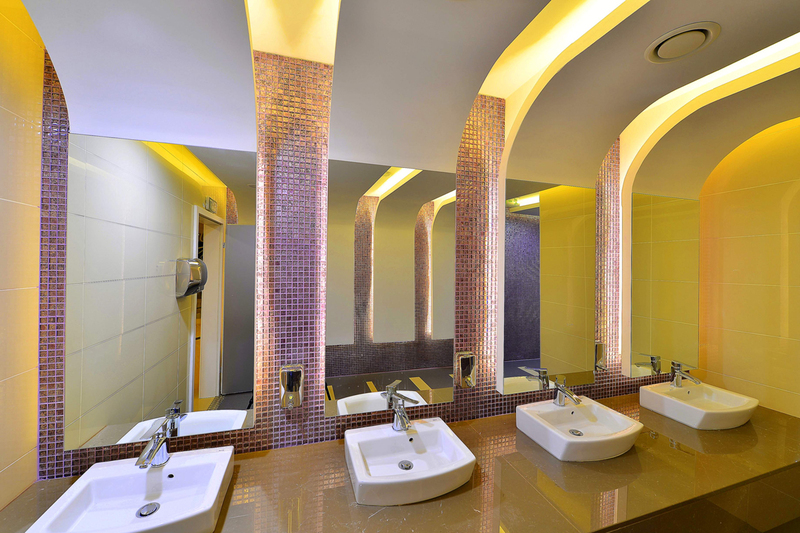 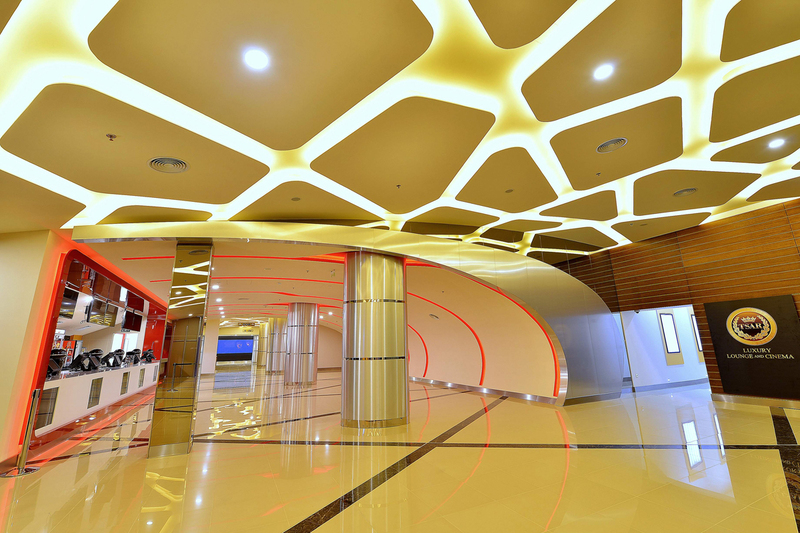 Lobby has been designed to give a grand look, concept with curved ceiling at concessionaire gives welcoming effect. 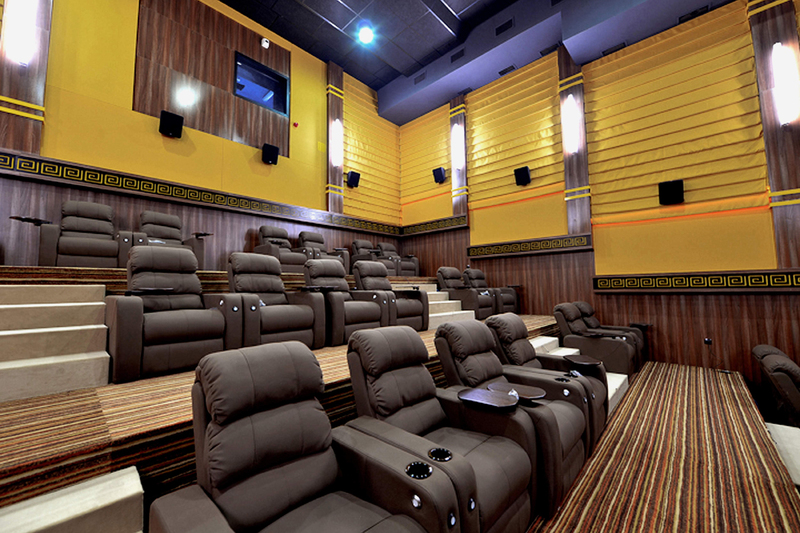 The Gold Class Screen, is one of the 6-screens luxuriously spaced out only with 32 lavish fitted Recliners. 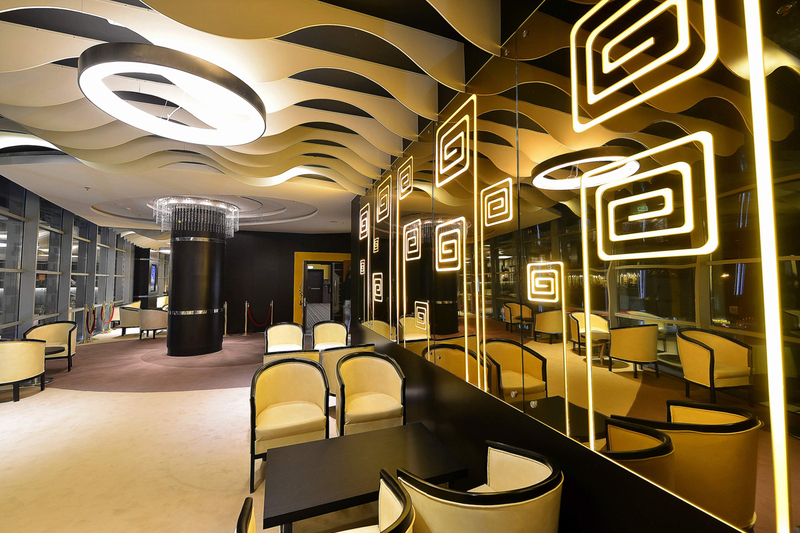 Gold Lounge designed with warm lighting ambience, gold backlit mirror paneling, veneer finish paneling, exclusively for Gold Class patrons.